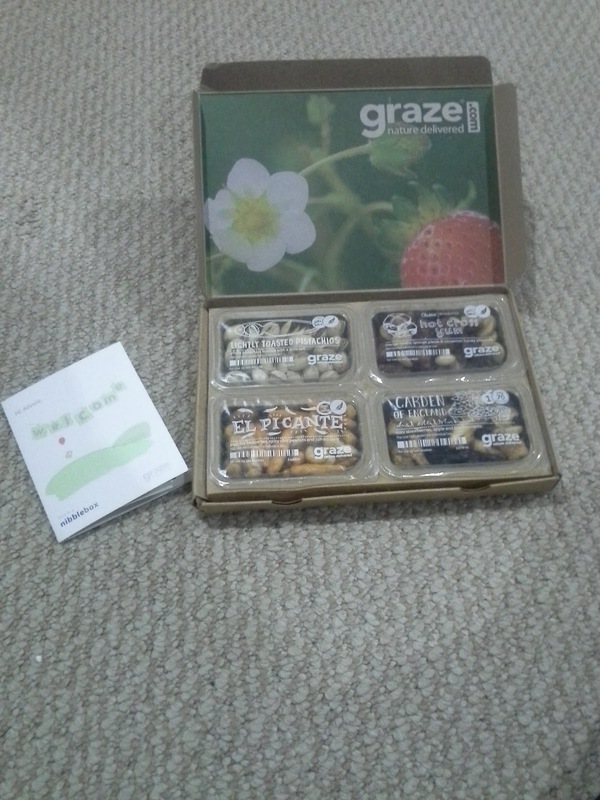 Recently, I received a box of snacks from a company called Graze. The idea is similar to tons of other companies: You sign up for a monthly subscription, and they send you a variety of items. This time, the products are healthy snacks. I'm a grazer myself, so this seemed right up my alley. I got to sample some of the snacks for free, and now I am here to share my thoughts with all of you! The box was quite mysterious, bearing only the name of the company and the slogan. I wasn't sure what was going to be inside, how many snacks I would receive, or if it would have instructions for an obstacle course I would have to locate and complete in order to receive my free snacks. Once I opened up the box, however, it was a completely different story. It was so pretty! I didn't think there was much in each of the four compartments, but the box was actually a little deeper than I anticipated. With my box, I received instructions, a code to share with friends, and four packs of snacks. The snacks I received were El Picante, Garden of England, lightly toasted pistachios, and Hot Cross Yums. Over the course of a week, I was able to sample all four products, alternating between my Graze "Nibblebox" items and my every-day snacks. This was the first one I sampled, and it was pretty delicious, minus one thing: the jumbo corn. It felt weird on my teeth, and had no flavor. I loved both the paprika baguettes and the spicy chili peanuts, though. I could eat an entire box of just the baguettes and peanuts. Probably not a good idea, but certainly a delicious one. This snack was 120 calories, and boasts 4 grams of protein. It was a pretty satisfying snack. The portion didn't seem too small, which was my original concern. This was my absolute favorite of the box! I've never tried dried black currants and mini strawberries, but I'm so glad I did. I had this snack during my tournament on Saturday, and shared them with my teammates. Everyone who tried them loved them! I would definitely want more of this. I'd order an entire bag of it if I could. This snack was a mix of dried mini strawberries, apple, and black currants. What an awesome combo! ON top of that, it was only 70 calories! 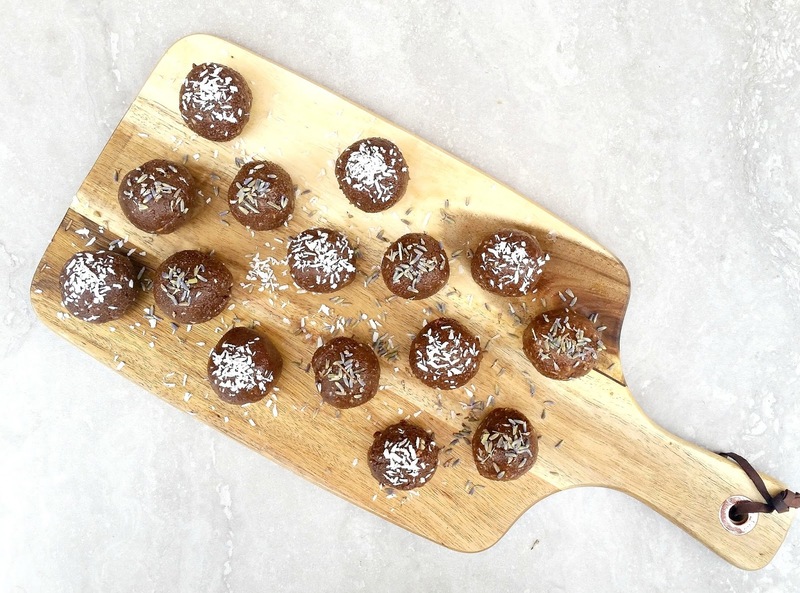 A delicious, low-calorie snack? Sign me up! I really like snacking on pistachios, but I couldn't understand the purpose of sending this to me. I mean, really? I can buy pistachios anywhere! In fact, I can't seem to escape pistachios! They're everywhere! Have you seen the gazillion pistachio commercials out there? If I had paid for this box, I would definitely be disappointed. My understanding of these sorts of services is that they send you things you might not ordinarily think of yourself, or things that may not be available in nearby stores. Pistachios? Psh. This one should be called Sweet Misery, because that's how I felt after eating it. It was entirely too sweet! It had orange raisins, sponge pieces, and cinnamon honey almonds. It sounds like an interesting combination, but I was really disappointed with this one. It's super sweet, and there was no redeeming item in the pack. I also had to drink an entire bottle of water to get that super sweet taste out of my mouth. Yuck! 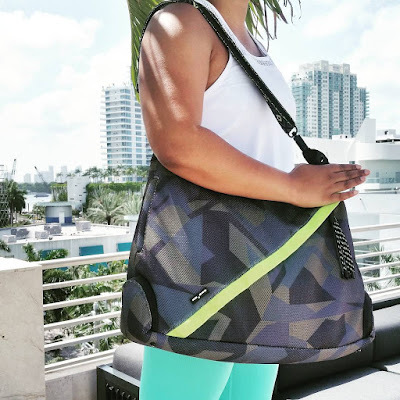 Want to try your own Nibblebox? 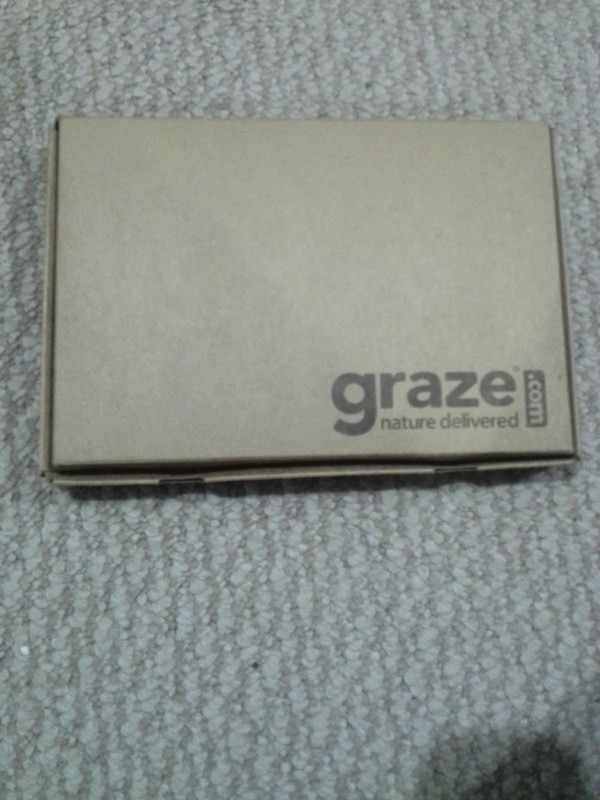 Go to www.graze.com, and enter the code ALEXIS71B. You will get the 1st and 5th box for free. If you don't like it, you can cancel after the first one. The cool thing is that you can order it monthly or biweekly. You can also adjust when it will be delivered. It's pretty flexible. I was not compensated for this post. 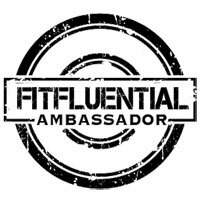 I received a free sample box by signing up with a code provided by a fellow blogger.